Utilizing the proven elliptical enveloping clamp design found on u-mount series products, the LSA77000P adds a pair of brace-less, virtually instant-mount side bars to any standard lighting stand. And unlike o-clamps, the versatile u-mount clamp is compatible with 1½” and 1-3/8” pipe. With a 1.5” diameter, aluminum construction, and thick 4mm walls, these unique side bars are up to the task of supporting any modern LED fixture* as well as conventional par cans. Sold in pairs. 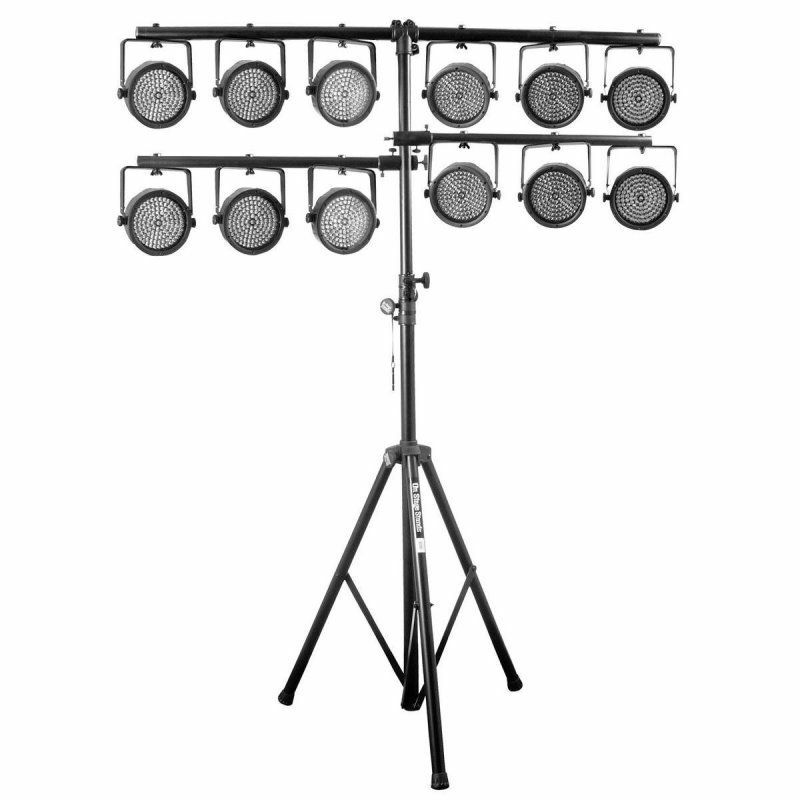 *The LSA7700P is not recommended for use with motorized fixtures. LS7720QIK is the first lighting stand to utilize the u-mount Mounting System. With its patented elliptical enveloping clamp, the u-mount system is the fastest, most secure way to erect and dismantle lightweight portable lighting arrays. The LS7720QIK takes our proven T-bar design and adds a pair of brace-less, virtually instant-mount side bars (LSA7700P also sold separately). These side bars can be moved freely up, down, and around the stand. Without obstructive bracing, more fixtures can be mounted in limitless configurations, and set up and tear down times are drastically reduced. 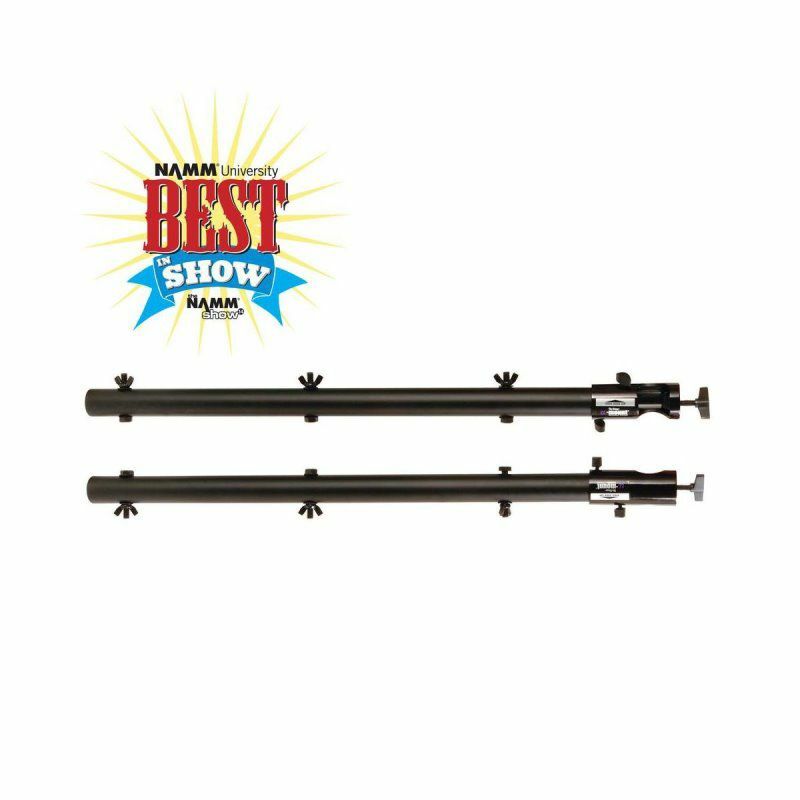 The LS7720QIK features an aluminum base and trunk, plus a steel upper shaft for an excellent mix of strength and light weight.